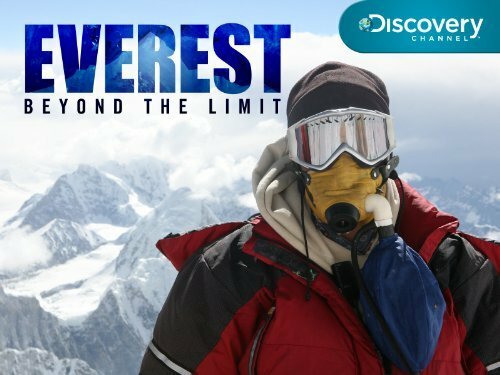 One of my favorite shows is “Everest: Beyond the Limit” on the Discovery Channel. The show follows several people on their quest to reach the top of Mount Everest. Some make it to the top, others don’t. To even make the attempt requires not just time and money, but also extensive preparations in the form of logistics, personal fitness, and climbing skills. One episode in particular caught my attention. As the team of climbers were in base camp getting acclimated to the altitude, they spent some time brushing up on their technical climbing skills and rope work on a short section that was close to base camp. This was really intended to be a warm-up exercise. It also gave the expedition leader a chance to observe each of the climbers and assess their readiness. For one climber, it became obvious very quickly that she did not have the fitness level or technical climbing skills that would be needed for her to survive the enormous challenge ahead of her. The expedition leader cut her from the group before they ever left base camp to begin the more strenuous and dangerous part of the climb. She just wasn’t ready. We all face “mountains” in life. Yet, God also gives us periods of time where things are going well. During these times it’s OK to sit back, catch your breath and enjoy the sunshine, but don’t get lulled to sleep. When things are going well is the time to be preparing for the next climb. Are you already on the side of a “mountain”? If so, don’t give up! Climbing a mountain isn’t a short sprint…It requires endurance. Keep putting one foot in front of the other. God will sustain you and give you strength. Have you already conquered your last “mountain” and are now enjoying the sunshine and the view from the top? Then I praise God along with you for seeing you to the top. God has used your struggles to grow your faith and perseverance so that you may become “perfect and complete, lacking in nothing”. Are you between climbs? If so, it’s time to take advantage of the relative calm to prepare yourself for the next climb. Don’t let yourself be fooled into thinking there won’t be another mountain in your path. What is your spiritual “fitness level”? How effective are your “technical skills” of prayer, Bible study, fasting, etc.? Are you prepared so you can reach the summit of your next mountain, or will you be stuck in base camp? Don’t get lulled to sleep! Be even more diligent to prepare now. Yes, it’s a time of rest and recuperation, but it’s also a time for diligent action. May God be glorified through your faithfulness! Awesome analogy! So very true. I know you’ve personally done your share of “mountain climbing” recently from watching your blog. Still praying for you, Brother! Thanks for stopping by and leaving a comment. Pingback: What Happens at a New Elevation « L.E.G.A.C.Y. I just hope to share your blog with others. That’s awesome, Michelle! Thank you for thinking of Faith4TheJourney! I’m glad you’ve enjoyed the posts that God has put on my heart to share. Congrats on your nomination as well! I have enjoyed and been encouraged by your blog, and hope more people will be introduced to your site via this award. It means so much that someone could be encouraged all because I said “yes” to God by writing a positive message (or funny). I’m going to reblog this because it’s awesome advise and i’m going to need to read it later. I’d personally be more interested to see a show like this about K2.